Our gorgeous wedding venue illustrations supplied on a beautiful rubber stamp - perfect for personalising favours, save the dates or invitations. If we haven't drawn your illustration before, you can provide your own photo after ordering - just upload them via notonthehighstreet.com by going to My Orders and submitting an enquiry, or we can work from Google street view or a weblink. 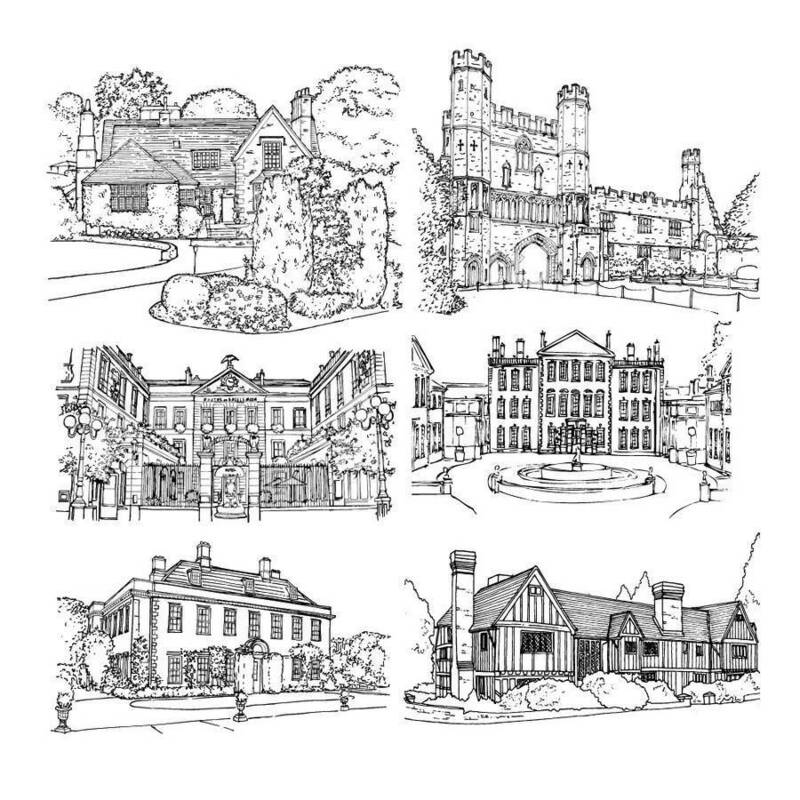 The illustration is a hand-drawn black and white sketch of the property, not a computer generated image, so we can add/remove things you don’t want eg: cars / lampposts, we won't include dustbins, satellite dishes etc. We sketch the perspective from the photograph. We will not include people, pets or cars in the drawing. 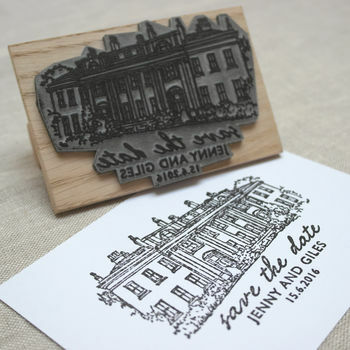 Below the illustration will be your choice of text - the first line in a script handwritten font (eg: Save the date or your names), below is additional text in a contemporary font such as your names, venue and date. 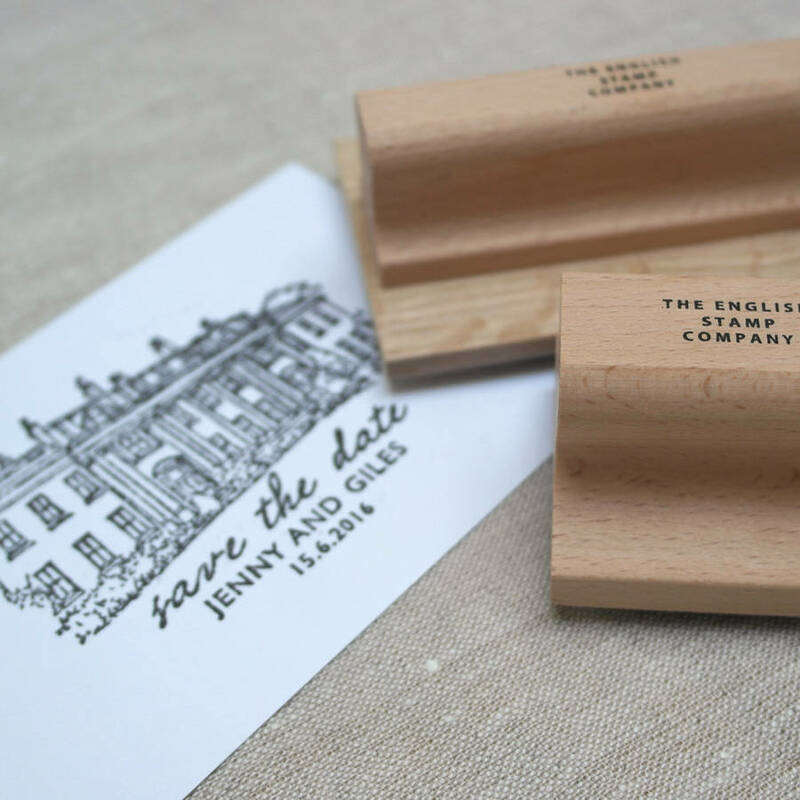 Choose from two sizes of stamp - the small is perfect for letterheads, business cards, and luggage labels. The large fits on postcards and invitations. 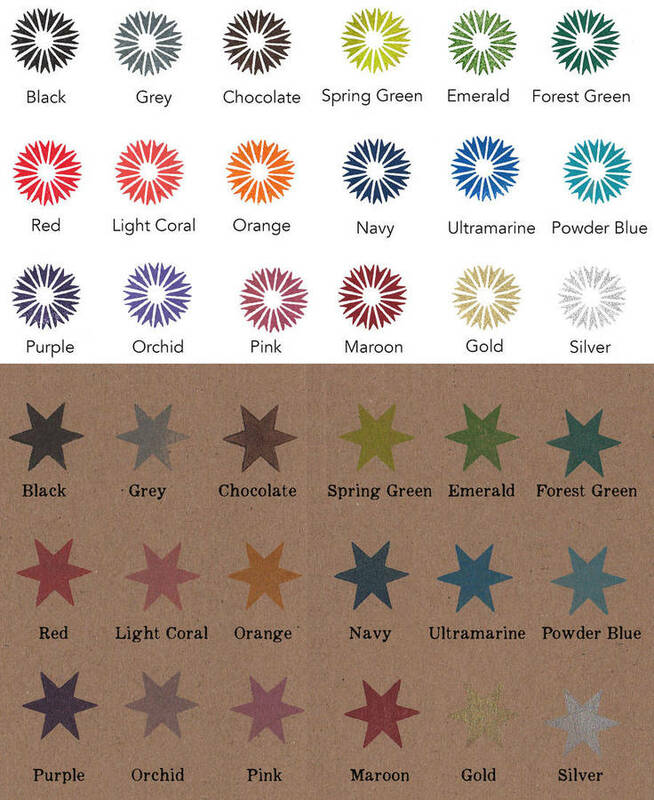 Choose from a selection of ink colours with the accompanying ink pad. 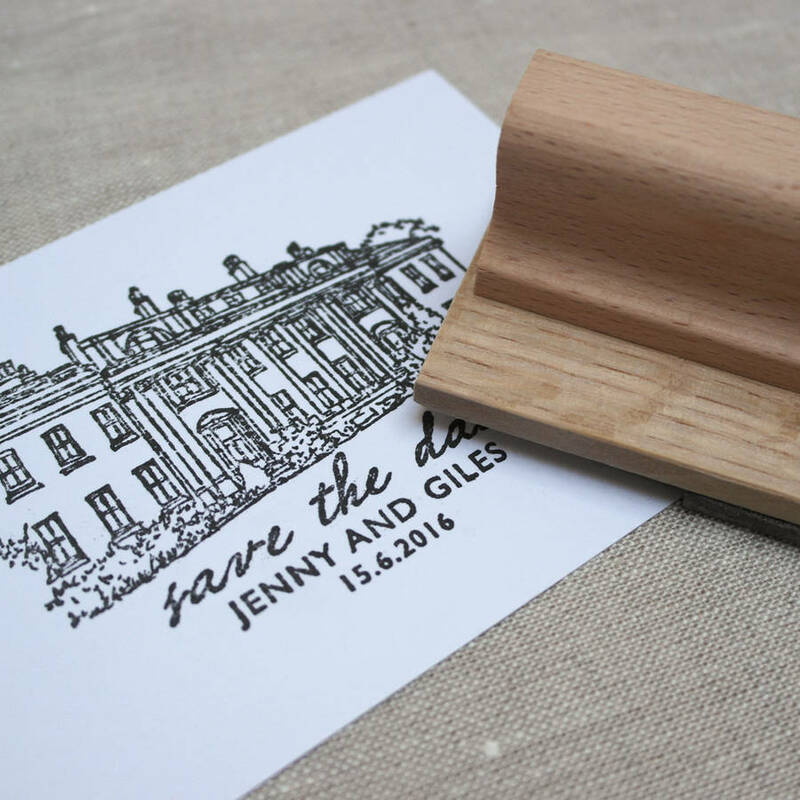 Rubber stamp mounted onto a beech wood handle in Dorset, England. Clean your stamp with a damp cloth and dust with talcum powder between uses and to store as a keepsake. Stamp: small - 5cm wide, height up to 5cm, large 10cm wide, height up to 10cm. Letterfest was shortlisted for Gift of the Year 2015 and is Winner of Creative Business of the Year 2011, Best Customer Service 2012 and Children's Gift of the Year 2016. This product is dispatched to you by Letterfest.